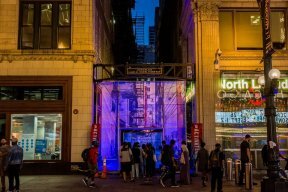 Chicago Loop Alliance (CLA) presents the latest ACTIVATE event, Hideaway: Retreat from the Street on Thursday, Sept. 28th from 5-10 p.m. at Arcade Place Alley (55 S Wells St. Enter between Madison and Monroe). Guests who RSVP in advance at loopchicago.com/activate will receive a complimentary drink ticket for beer, wine, or a cocktail at the event. The 2017 ACTIVATE series invites the public to explore the pulse of daily life that the alley embodies. 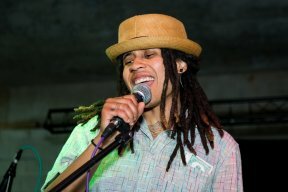 Art and programming will focus on a different aspect of alley life for each event. Hideaway: Retreat from the Street explores the alley as a place to escape the eyes of the street. The alley provides a place to step away from our public personas, and into a realm where we could be anyone and do anything – a space where we can shed the expectations and preconceptions of the street. In the quasi-private alley, we have a chance to redefine who we are, rediscover who we want to be, and throw propriety aside.